This single video tutorial is for individuals preparing to take a federal, state, city, or private employment examination. 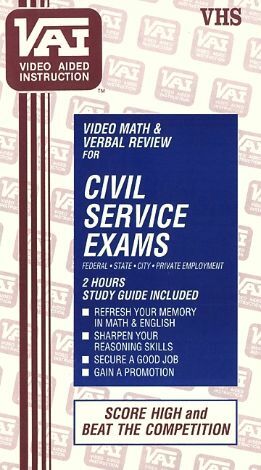 The video is designed to build an individual's skills, confidence, and reduce anxiety by covering a thorough review of courses to be found on Civil Service Exams. The math section includes whole numbers, fractions, decimals, percents, ratio and proportion interest, payroll, and taxation. The reading comprehension and verbal skills section includes spelling, vocabulary, and sentence selection. The lessons are presented in an easy-to-understand language by a variety of video instructors who will analyze many potential test questions and offer clear explanations to the solutions. They also offer time saving tips and multiple-choice strategies.